How Do You Know if You Have Bad Gut Bacteria? Test Your Gut Bacteria. How Do You Know If You Have Bad Gut Bacteria? You’ve probably heard the words “gut microbiome”, “gut bacteria”, or “gut flora” quite a bit these days. Maybe you’ve even read a few articles on why you should pay attention to your gut bacteria and how important they are for your overall health. You know that “bad bacteria” aren’t great for your health…But now you’re wondering – how do I know if I have bad bacteria? Hint: you might have bad bacteria even if you don’t have digestive issues. Let me walk you through it! What is Unbalanced Gut Bacteria? First, it probably makes sense to go over exactly what the gut microbiome is because this is what becomes unbalanced, leading to chronic health conditions. The gut microbiome is often referred to as the “forgotten organ” by scientists because it plays such a vital role in your health. Just like your heart and your lungs are required for you to thrive, so is your gut microbiome. Normal flora are exactly what they sound like — the normal bacteria that you expect and want to find in your microbiome. These are our good guys; the flora that do all the good things we associate with a healthy microbiome like make vitamins, support the immune system, and more. Potential pathogens are gut flora that have the potential to be pathogenic (harmful, causing symptoms). While some of these can be found in small amounts and not be problematic, if they start to grow out of control, they can become pathogenic and cause you symptoms. So it’s important to make sure that these flora are found in small amounts (or the right amount) and are not overgrowing with the potential to cause symptoms. Pathogens or pathogenic bacteria are the bad gut bugs — these are ones that, if found, are very like to make you symptomatic. Depending on the pathogen, that could mean symptoms from anything like bloating, excessive gas, flatulence, abdominal pain, diarrhea, constipation, reflux, and more. Basically, we don’t want to see these on your testing! When your gut microbiome is well-balanced, it helps you digest food, make nutrients, influences the immune system and the metabolic system, and more. Clearly, we want these bacteria balanced! When gut bacteria become imbalanced, they can cause a host of symptoms including diarrhea excessive gas, bloating, constipation, diarrhea, abdominal pain, reflux, and more. Imbalanced gut bacteria can also cause symptoms outside of the digestive system, too, which I’ll talk more about in a few moments. When you hear the terms “bad gut bacteria” or “imbalanced gut flora” or “unhealthy microbiome”, this can refer to a number of different conditions. The most common include small intestine bacterial overgrowth (SIBO), microbial dysbiosis (an imbalance of gut flora in the large intestine), pathogens, or parasites. The small intestine should be relatively sterile when compared to the large intestine, which houses the majority of our bacteria in the microbiome. When bacteria translocate to the small intestine for any reason and overgrow, you now have an overgrowth of bacteria in the small intestine; hence, “small intestine bacterial overgrowth” or SIBO. This is a very common condition and one I see a lot in my practice. The term “dysbiosis” simply means an imbalance of bacteria (which could be anywhere in or on the body), but it’s commonly used to describe an imbalance of gut bacteria in the large intestine, specifically. I like to break down dysbiosis into two categories (well, 3 really, but we’ll talk about the 3rd option – parasites and pathogens – next). This is when you don’t have enough beneficial bacteria like Lactobacillus or Bifidobacteria hanging out in the large intestine. These should be present in high amounts, but it’s very common to see folks with very little or no growth of these beneficial microbes. This is when you have too few beneficial bacteria and overgrowths of one or more commensal bacterial strains. Commensal bacteria are bacteria that are normal to find in small amounts and typically don’t cause any harm to you. However, when they start growing in high amounts, you might start developing symptoms. Parasites or pathogens are specific strains of bacteria that, when present, can cause harm or disease. With potential pathogens, you can usually have a small amount that won’t necessarily be problematic, but they may start to cause symptoms as their numbers grow higher. Okay, so now that you know what different types of imbalanced bacteria you might have, what are some symptoms you might experience if you were to have any of these types of bacterial issues? The symptoms that can accompany the different types of imbalance are quite diverse. However, there are a few general symptoms you can look for with the different imbalances that might clue you in to whether you’re more likely to have one or the other. Remember, though, that you can have these imbalances and have absolutely zero digestive problems; some people just don’t exhibit digestive symptoms even if they have a severe imbalance in their microbiome. But just because you don’t feel digestive symptoms doesn’t mean that an imbalanced microbiome isn’t harming you; it’s still having a negative impact on all your other body systems. Very important to take care of it even if you don’t notice any digestive symptoms. When you test for SIBO, there are two different types that will show up: methane-positive or hydrogen-positive. You can also exhibit no digestive symptoms at all when it comes to SIBO. This is because having an infection in the gut can cause disease outside the digestive system. We’ll talk more about these different conditions in the next section, but I just want you to know that you can have absolutely zero digestive symptoms and still have bacterial imbalance in the gut. The symptoms for gut dysbiosis in the large intestine vary a lot, and I find that a lot of the time dysbiosis is associated with disease states that occur outside of the digestive system. However, there are certainly people who develop gastrointestinal symptoms when they have dysbiosis. With insufficiency dysbiosis, the most common symptom I see is constipation. Symptoms of just a general imbalance of bacteria in the large intestine vary widely. They can include constipation, diarrhea, bloating, or general pain or sensitivity in the abdomen. These have more specific effects depending on which parasite or pathogen you have. For example, if you have H.Pylori you might have reflux or ulcers, while klebsiella pneumoniae is associated with ankylosing spondylitis. Other pathogens and parasites can simply cause ongoing digestive symptoms like diarrhea or bloating. As I mentioned previously, you do not need to have digestive symptoms to have imbalanced gut flora. Imbalanced gut flora is probably more common than most people think because of this – after all, it’s strange to think that the bacteria in your gut have anything to do with the rest of your body. Testing your gut for imbalanced bacteria is hugely important. You may not even know that you might have an imbalanced microbiome! I wish it was cheaper to test (and hopefully we’ll see prices go down on these tests in the coming years) because I think everyone should do it. Since a healthy, balanced microbiome is vital to your overall health, you owe it to yourself to make sure your microbiome looks good. Because there are so many different symptoms of bacterial imbalance, I find it’s very useful to test so you know what bacteria you actually have and what might be missing. Because not all bacterial imbalances show themselves in the way of digestive symptoms, you may not think you need to worry about your gut bacteria, but hopefully, you’ve learned a thing or two in this article that makes you think twice about that assumption! To test your gut bacteria, I recommend doing two types of tests: a SIBO test and a stool test. I’m currently using the SIBO test from Biohealth in my practice, which I like a lot. If your doctor is familiar with SIBO or is open to learning more about it, you may be able to get them to order a SIBO test for you that might be covered by your insurance plan. 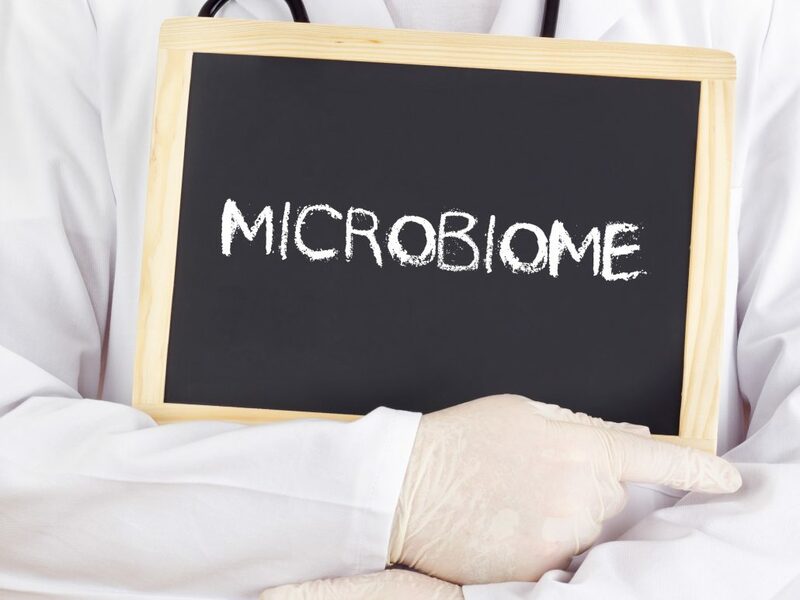 However, many doctors won’t test for it, unfortunately (though this is becoming less and less common as the topics of the microbiome and SIBO become more popular). If your doctor will order a test for you, I recommend asking to make sure it’s at least a 2-hour test that looks at both hydrogen and methane gas. Remember I said that which gas you produce dictates how you deal with it, so it’s important to get that information! You can also order SIBO testing online. As for stool tests, my favorite is the GI-MAP test from Diagnostic Solutions Laboratory. It’s a very accurate test, needing only one stool sample for parasitology. Other stool tests companies recommend getting the higher sample rates (for example, Doctor’s Data offers a 1 sample, 2 sample, or 3 sample kit) but GI-MAP can get it all in just 1 sample. I still think other options for stool testing are good, like Doctor’s Data, Biohealth, and Genova, but personally, I’m liking the GI-MAP these days. These types of stool tests tend to be a bit harder to get from your doctor unless you’re going to a functional medicine doctor. I’ve seen some tests be covered by insurance (at least partly) before, but a lot of times it’s difficult to get these tests from someone who can help get it covered by insurance, sadly! If you want to test your gut bacteria, I recommend asking your doctor about your options first. If you can’t get it covered or they can’t or won’t order them, you’ll need to find another healthcare practitioner to order through, or you can order it online. In my online program, Build Your Biome, you get these tests (at a discount) and I’ll tell you what everything means and how to deal with it appropriately. If you’ve done some of this testing and find out that you have SIBO, dysbiosis, parasites, pathogens, candida, H. Pylori or something else, you’ll want to make sure to clear out any bad or overgrowing bacteria for optimal digestive and overall health. Depending on what your microbiome is dealing with, you have a few options. Many herbs have antimicrobial properties, meaning that they kill off microbes. When you have overgrowing microbes in your gut, this is exactly what we want! Some common antimicrobial herbs and nutrients include: oregano, berberine, garlic (allicin), artemisinin, black walnut, caprylic acid, and more. I highly recommend working with a professional if you’re going to go this route as you want to make sure that the antimicrobials you are choosing are appropriate for the bacteria found in your testing. While antibiotics can have a lot of unfortunate side-effects, they have a time and place. If you have a microbial imbalance that warrants antibiotics, it’s smart to take them as prescribed. It is always wise to bring any gut testing that you’ve had done to your doctor so that they can advise you on the proper next steps. An elemental diet is a meal replacement diet that consists of highly broken down nutrients. They’re so broken down, in fact, that they don’t even make it to your small or large intestine where they can feed bacteria. Because this type of diet (really, it’s a supplement more than anything else — diet doesn’t fix microbial imbalance) doesn’t feed bacteria, it can be used to starve bacteria and kill them off. You need to use it long enough for it to have this effect, though (generally at least 14 days). While it’s not the most pleasant thing to be consistent with, it works very well. If you’re interested to read more about an elemental diet, you can read my article (originally published on ChrisKresser.com) here. To be clear, lifestyle changes alone do not get rid of microbial imbalance. However, they make your antimicrobial/antibiotic/elemental diet so much more effective at killing off bad gut bacteria and keeping bad bacteria away once you finish up your course. The lifestyle changes I incorporate into my Build Your Biome program include stress reduction, stress management techniques, gut-directed hypnosis, dietary changes (making sure you’re eating enough and choosing healthy options), journaling, sleep enhancement, proper exercise (both the amount of exercise and recovery that you do), and more. Even though these things alone can’t get rid of bacteria, they are the foundation upon which your digestive health stands. If these factors aren’t taken care of, you make your body’s job so much harder and it’s going to take you longer to get rid of bad gut bacteria and keep it away for good. 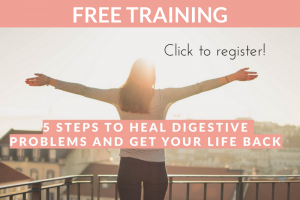 If you want to know more about how to get rid of the microbial imbalance that causes digestive problems (and more), check out my free training on the topic by clicking the image below. Gut health is so crucial to overall health, as I hope you’ve learned by reading this article! Imbalanced gut bacteria is associated with many health conditions and diseases, and clearing bad bacteria can make a world of difference if you’re suffering. Testing your gut microbiome for bad bacteria is the best way to determine if you have any nasty gut bugs that need dealing with. I recommend two tests: the SIBO test and the Stool Test (GI-MAP being my favorite). Click the image below to get my FREE training on healing digestive problems the right way — for good. https://kelseykinney.com/wp-content/uploads/2017/05/Depositphotos_58342029_original.jpg 1125 1500 Kelsey Kinney MS, RD http://kelseykinney.com/wp-content/uploads/2016/10/website-.png Kelsey Kinney MS, RD2018-06-24 22:27:472018-10-25 13:13:35How Do You Know If You Have Bad Gut Bacteria?